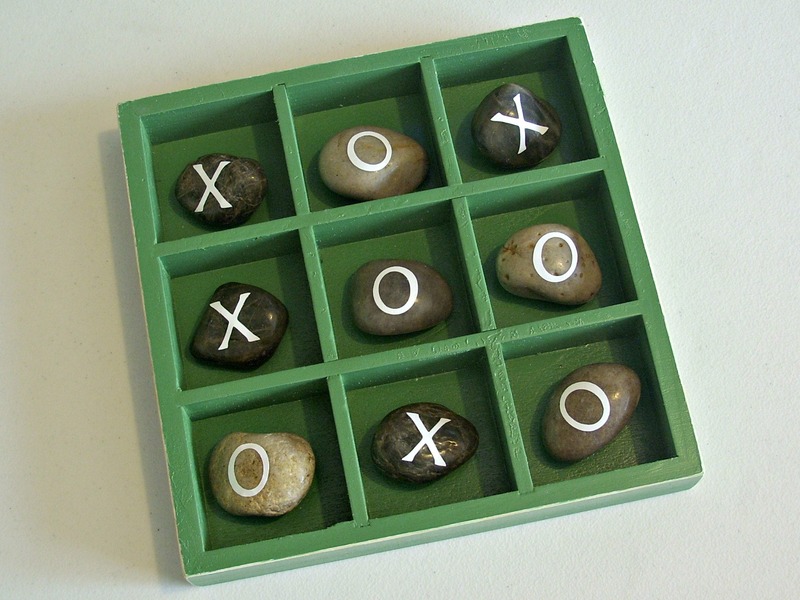 We actually made this rock tic tac toe game a few years ago for Father’s Day. It sits on our front porch and still gets played a lot during the warmer months. 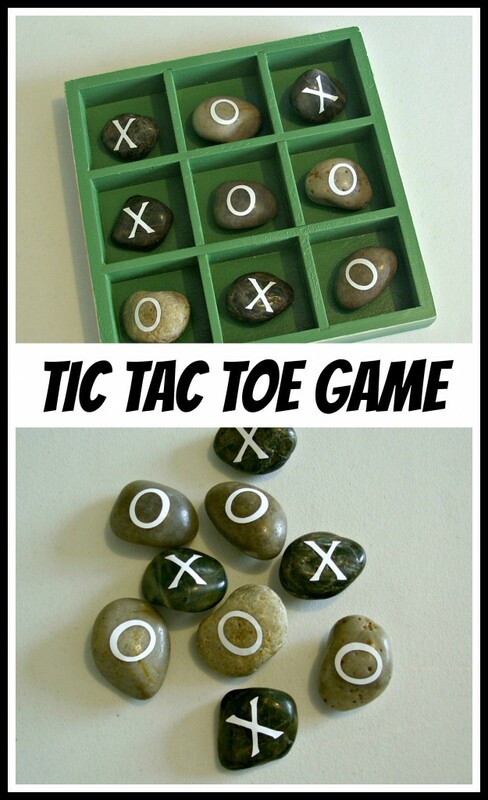 When Ammon was younger he loved playing tic tac toe with his dad so I thought an outdoor version would be a fun idea. The best thing about this project is it cost $1 and a few pennies. I started with this shadow box from Dollar Tree. The last time I was there they were still stocking them. I have seen something similar to it at Michael’s and Hobby Lobby also. 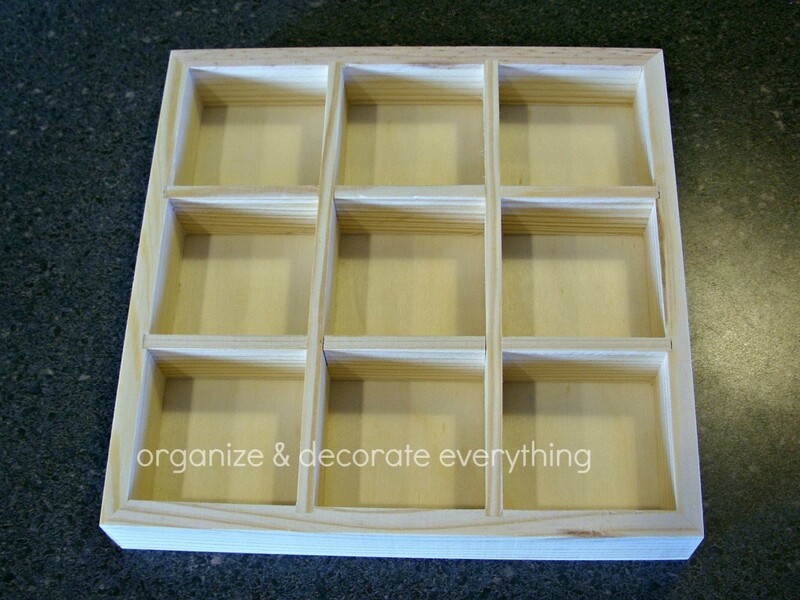 Start by taking the hangers off the back so the shadow box sits flat. 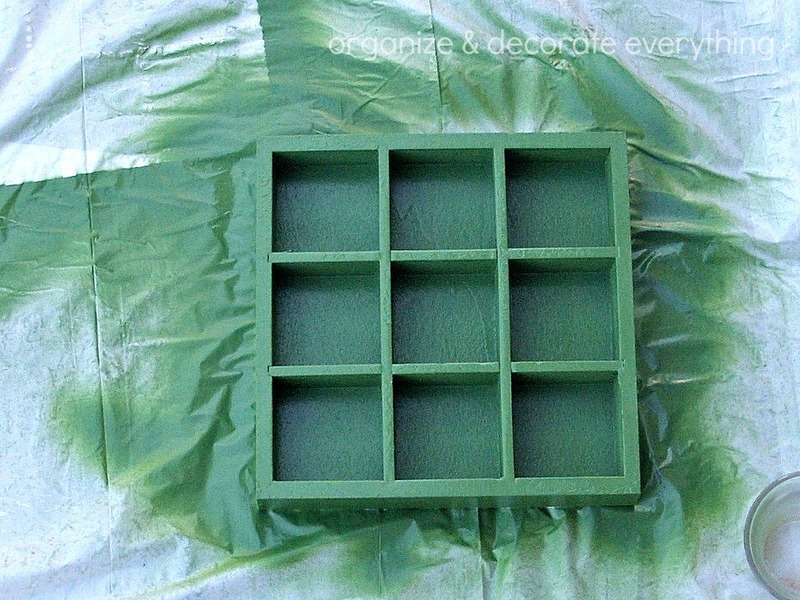 Then I used spray paint to paint the box because it’s fast and covers easily. I chose green because it matched with everything on the porch plus it was what I had available. 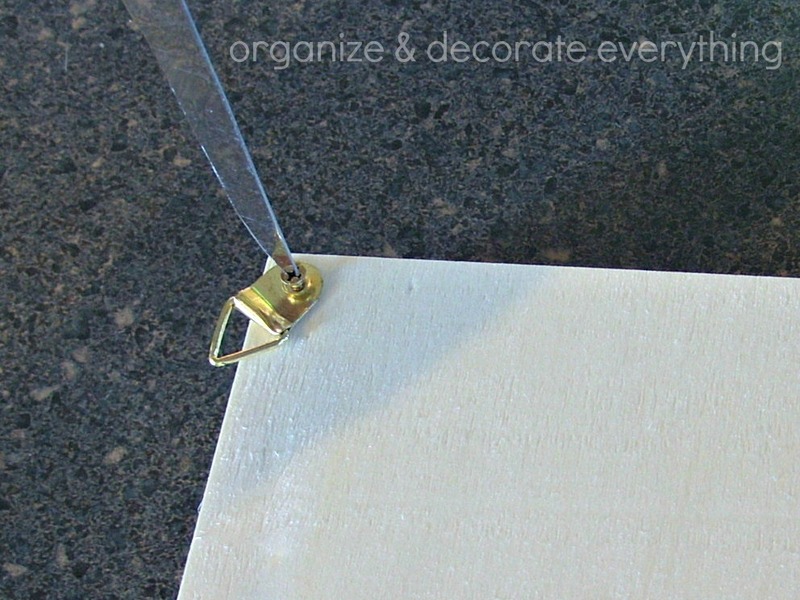 Sometimes the wood can soak up the paint pretty fast so you might want to use a spray primer first. It will make it so you will have to use less coats of the paint. I also sanded the edges to distress it a bit. I figured it was going to be distressed naturally in a couple months anyway. I used the larger decorative rocks you can find at Dollar Tree but I already had a jar full of them so I used what I had. When you choose your rocks make sure they fit in the divided areas. 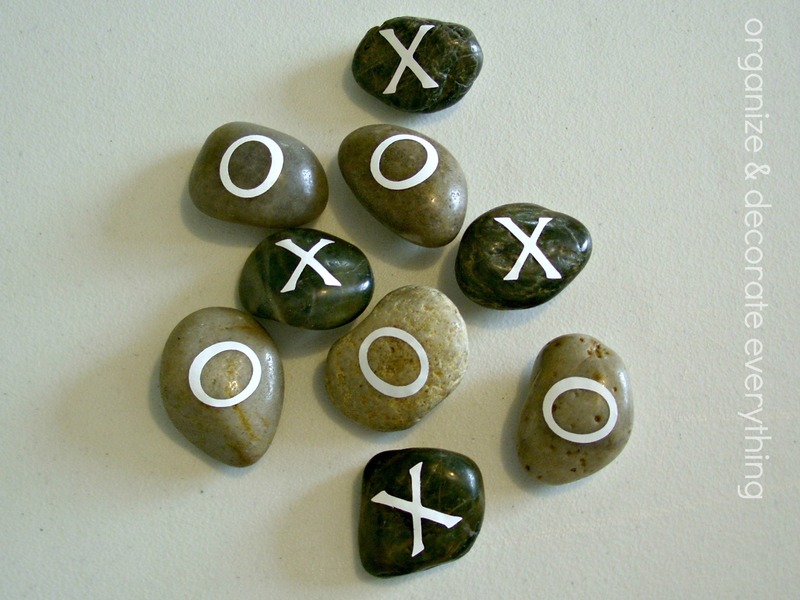 I used my Cricut to cut the X’s and O’s out of white vinyl and then just stuck them on the rocks. The kids actually did that part. Isn’t it cute? After many years we still use it and love it. It was the perfect gift for the kids to give their dad for Father’s Day. 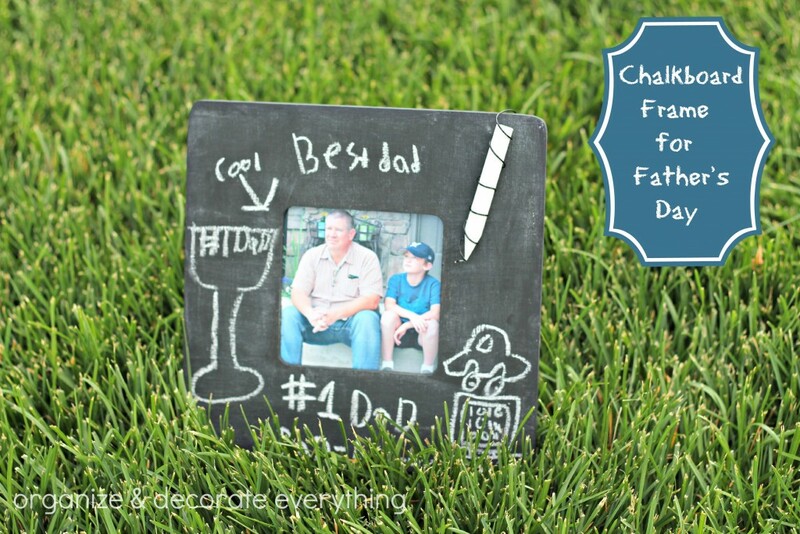 What are your kids giving Dad for Father’s Day? how cute, I love it. This is absolutely darling! I think I am going to head the dollar store! Oh my heck, this is awesome! What a cute idea! Pinned it. Great idea :)!! I love it! Might have to make one for my house soon! I love this! 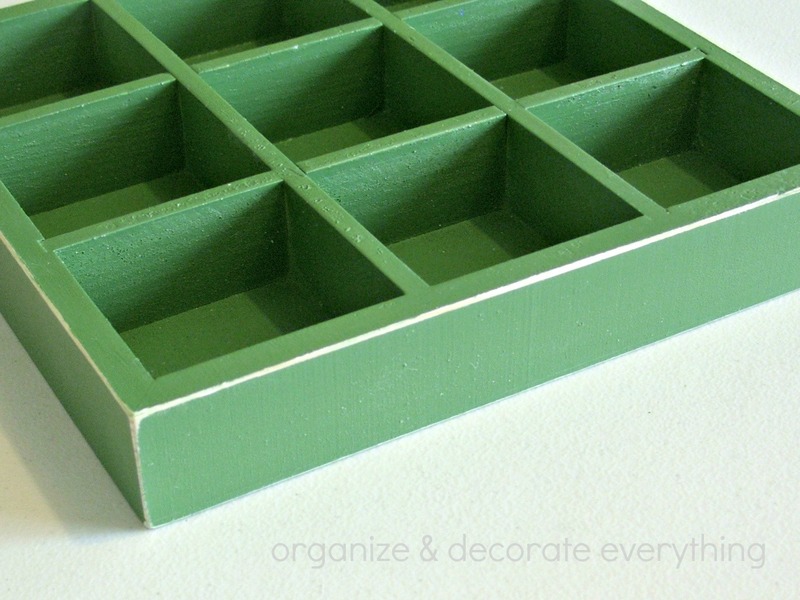 So creative and cute, and I love that it’s so inexpensive. 🙂 I would love for you to come and share this on our link party Much Ado About Monday! I went to my Dollar Tree but opulent find this! Has anyone else seen it? I really want to make this with my kids! 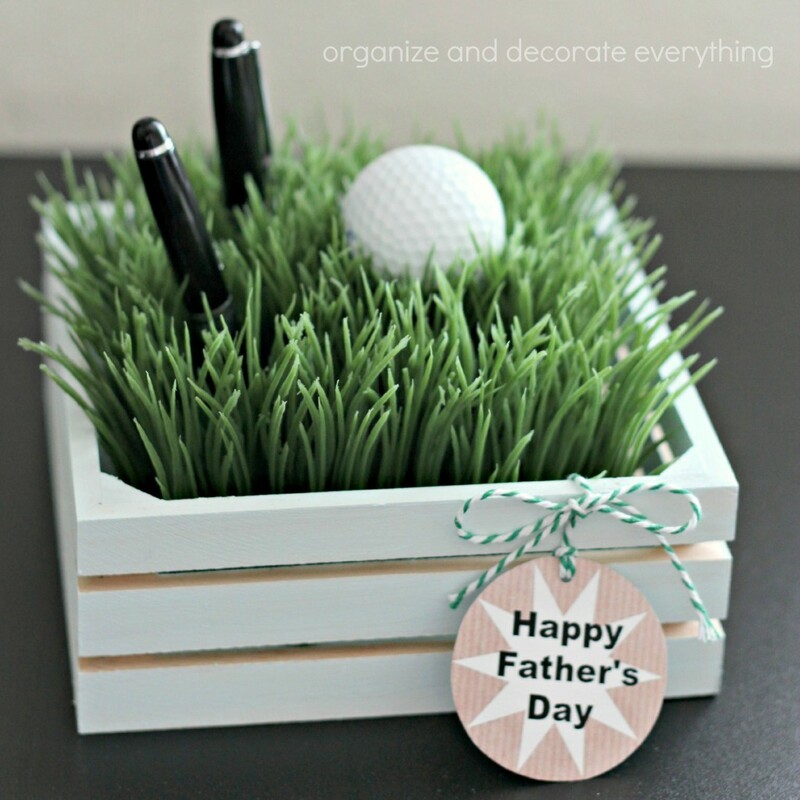 Thank you so much dear for sharing such unique and creative gift ideas for fathers day. 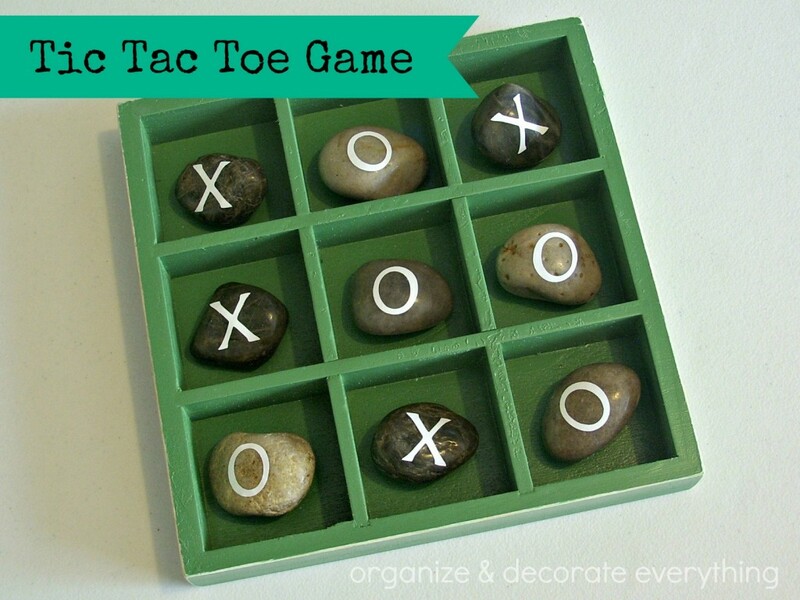 I like your all suggested gifts especially Tic Tac Toe game and Chalkboard Frame for dad.